Solitary confinement is the practice of isolating a prisoner in a closed cell for 22 to 24 hours a day – often for weeks or months, and sometimes for years or decades at a time. 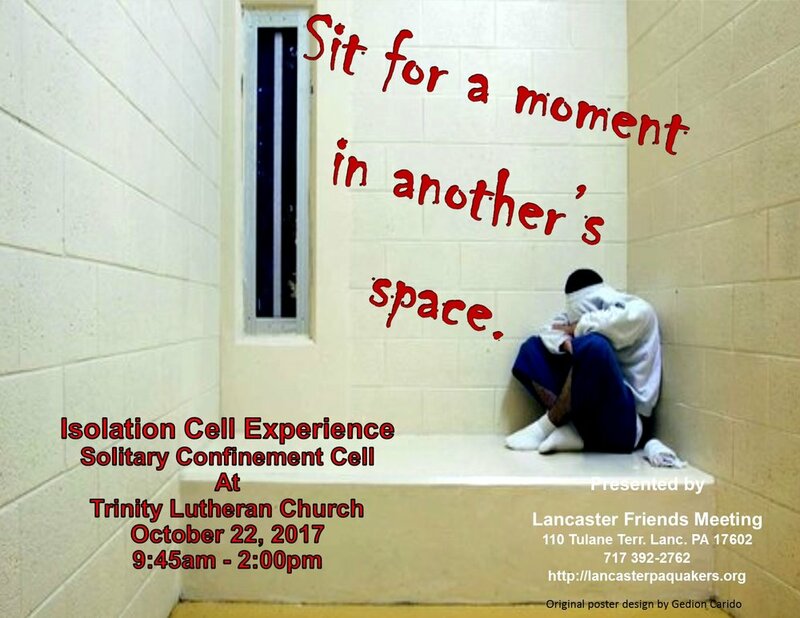 At Trinity Lutheran, members will have the opportunity to see and experience a solitary confinement cell. Lancaster Friends Meeting (Quakers) built a replica of an isolation/confinement cell or Special Housing Unit AKA "SHU". In addition to replicating its isolating physical dimensions, this display includes the noises - endless shattering day and night noises - of a solitary confinement prison cell. Adults are invited to briefly enter this 6’ x 8' solitary cell and experience the exposure to an environment devoid of dignity and meaningful human interaction.